Shane A. Yount is a nationally recognized author, speaker and principal of Competitive Solutions, Inc., an international Business Transformation consulting firm which pioneered the acclaimed organizational development system known as Process Based Leadership® - A business transformation methodology designed to create a sustainable culture of clarity, connectivity, and consistency through the use of Non-Negotiable Business Processes. Shane began his career with Perdue Farms, Inc., the nation’s second largest poultry grower and processor. Having performed such roles as Front Line Supervisor, Operations Manager, Quality Manager, Director of Human Resources, and Corporate Continuous Improvement Champion, Shane brings extensive experience in every aspect of organizational dynamics and effectiveness. His “Real World” process driven approach to creating and sustaining high performance has led leaders across the country to embrace the Process Based Leadership® methodology as a core operating system in driving organizational focus, urgency, and accountability. 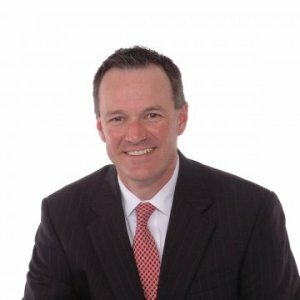 Since 1991 he has led the offices of Competitive Solutions, Inc. (CSI) in becoming one of the nations most recognized Business Transformation consulting firms, personally working with such organizations as Michelin, Glaxo Smith Kline, Pfizer, Lockheed Martin, the Department of Defense, and many others. Shane’s approach of challenging leaders to confront what truly “powers performance” within their organizations often allows leaders a unique glimpse into their personal leadership legacies. His impactful message and delivery has made him a coveted speaker at national conferences and tradeshows. His two books, “Buried Alive: Digging out of the Management Dumpster” and “Leaving Your Leadership Legacy” are required readings for engaged leaders desiring to improve themselves and their organizations . His third novel, “Leadership GPS” is due out in 2013. This lively and interactive session addresses the basic foundations for leadership training that can actually improve the business bottom-line. Both humorous and informative, the presenter will discuss why leaders fail, personal leadership implementation experiences, and successes and failures companies have experienced during the transition of management. This presentation provides all who attend the knowledge and understanding to begin implementing practical, auditable leadership implementation techniques to their individual work environments. This sensible and business-focused combination of practices promotes employee involvement and empowerment. Most importantly, realistic leadership implementation techniques promote continuous improvement in communication, productivity, employee satisfaction, and bottom-line business results.